Wanna Bitcoin mining for your idle computer or sellphone? 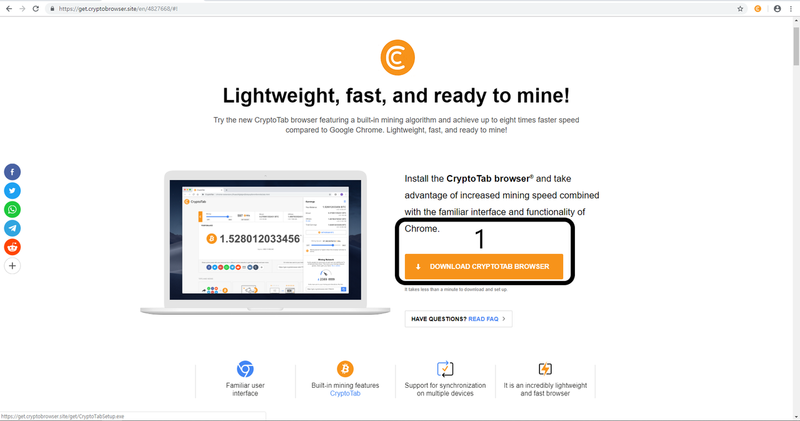 There is one very easy and efficient browser mining software named CryptoTab. This broswer mining is not a scam..... i have mined for several month. 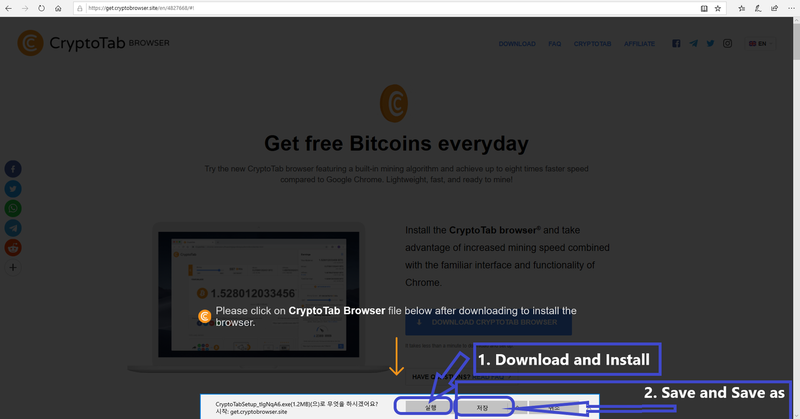 if you click the Download CryptoTab , you can see below pic. 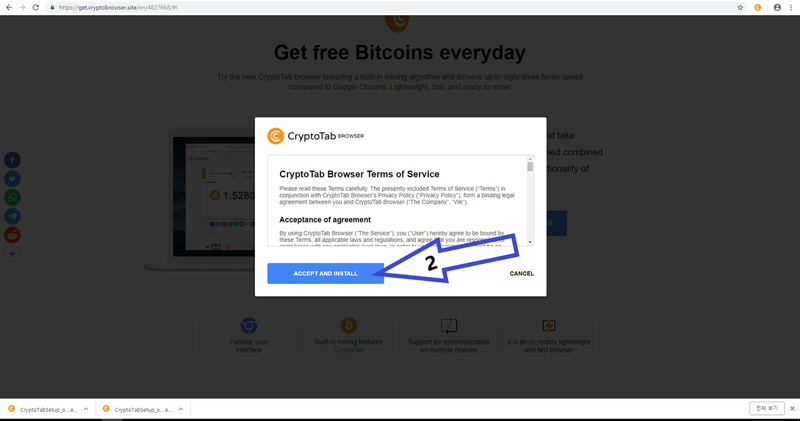 Click the first button, you can install Cryptotab browser directly or you can select the save or save as, then install. After finished install, you can see.. Select one account to log in. for example: select the google, you can see.. Enter your Email address or Cellphone No. Select your mining speed, start to mine bitcoin. If you can't see this page. Now You have mined 1000satoshi bitcoin, you can withdraw. Check you Recieve address... you can see the amount you withdrawed. You can also check my address..